Arthur Latham was born in Tilston, Cheshire abt 1893. By 1901 he’d moved to Woolsthorpe St James with his parents Henry (a stud groom) and Eliza. 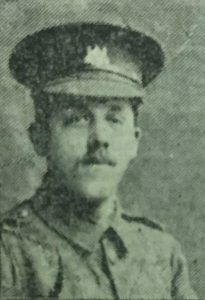 When he enlisted in the 2/4th Battalion, Leicestershire Regiment (number 202822) at Leicester he was resident in Grantham. Although we haven’t found it yet, there is obviously a Carlton Scroop connection, as he is listed on the memorial window in the church, as well as on the Woolsthorpe war memorial plaque. 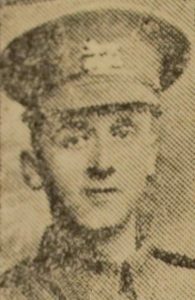 Private Latham was killed in action, age 24, on 26 Sep 1917 during the Battle of Polygon Wood during the 3rd Ypres (Passchendaele) campaign. He is buried at Bridge House Cemetery, Belgium. Any local history stories, research or photos welcome (see contact form on homepage). Or contribute to the cost of hosting and maintaining the site using the donate button below. Thank you.